The Fear-Free™ initiative, promotes the practices, methods, and tools that calm veterinary patients and create low-stress environments to encourage better healthcare, more satisfied and compliant clients, a happier staff, and a healthier bottom line. 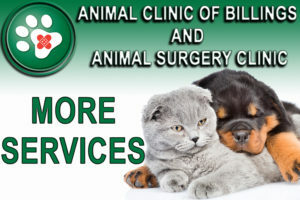 We understand that a lot of hesitation is involved in making appointments for your fearful Fido and your Scaredy Cat. There are several steps that we can take as a fear free practice to help make your visit better and take the ‘pet’ out of petrified! The Fear-Free™ veterinary visit is best created with a multimodal approach that must involve the pet owner. The owner’s role in taking a pet to the veterinarian is the first and most important step. The owner should condition the pet to the carrier and to car rides long before the day of the veterinary visit. Cats should be allowed to use their carriers daily as a resting place so that the carrier is familiar and comfortable, rather than something associated with a frightening car ride. Take the carrier out of storage and leave it out in an area so the cat can get accustomed to seeing it in the everyday environment. To keep the pet calm on the day of an appointment, pet owners can use products like Adaptil™ or Feliway® pheromones, calming nutraceuticals, and carrier covers. These products can be found at some of the pet boutiques and stores around town. Owners will need to remain calm themselves. They may find it helpful to play special calming music and use aromatherapy in the car. We have a few tricks up our sleeves here at the Animal Clinic of Billings! We have found out that some pets may benefit from or require prescription anxiolytic medication before they leave home. When you schedule your appointment for your pet, ask the staff member on the phone about medications that may make your visit even better. These medications can be prescribed by the doctor and picked up a couple of days prior to your appointment with specific instructions on how and when to administer them. Limit food before an appointment so treats are more effective during the exam. If the pet’s appointment is around its meal time, the pet owner should feed a smaller amount of the pet’s food (unless medically contraindicated). This is so the pet will respond better to food rewards at the veterinary hospital. You can also bring the pet’s favorite treats to the appointment. Minimize use of the clinic waiting area. While we wish we had a bigger facility, we have enough exam room space available for you to take the pet directly into an exam room. If a room isn’t immediately available you could also check in alone and then return to the vehicle to wait until the pet can be ushered directly into an available exam room. It is best for the veterinarian and the technician to have already entered the room before the pet arrives. Create a sense of calm in the exam room. Veterinarians and technicians should be in the room before the pet enters. Avoid direct eye contact with the pet, and wait for the pet to initiate interaction. Toss lots of tiny treats near the pet, so that it doesn’t have to come near you to retrieve them. Lower your voice; don’t be hurried; let dogs sniff instruments (stethoscope, otoscope, etc.) before you use them. Let cats get used to the room by taking the top off their carrier early in the appointment and provide a towel for them to hide under. Be sure that you have a nonslip surface on the exam table to reduce the pet’s fear and anxiety. Choose the best location to examine the pet. Rather than just hoisting the dog or the cat carrier onto the exam table, explore alternate places to conduct your examination, including in the carrier (with the top removed), on the floor (with a yoga mat or towel), or on the pet owner’s lap. Figure out the best method of positional compliance. Gone are the days of wrestling pets to the table. Work with the pet to find out a method of control that keeps the pet calm but still allows you to perform procedures. Some pets even do better without the owners in the exam room or when pulled away from the owner towards the center of the room. Once you know which method works best, note that in the patient record, along with other information you’ve gathered, such as the pet’s preferred place to be examined, favorite treats, her tricks, and cue words. Some pets do better without the owners in the exam room or when pulled away from the owner towards the center of the room. Sedation is not a last resort. Depending on the practice, many pets are so psychologically damaged or fearful that they will require sedation before they leave home. Once a pet is at your hospital, if it is fearful and won’t take a tasty food reward, even if hungry, it’s time to regroup. You can either sedate the pet and wait for the sedative to take effect or reschedule the appointment for a later time when Fear-Free™ techniques and tools can be implemented. Consider the reason for the visit, and if pain management is required, begin it early. For example, if a dog has a painful ear, it may be better to administer a pain-relief medication as its pre-appointment medication. 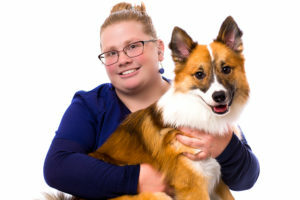 When procedures are not an emergency, pets can be sent home and return for “happy visits” or desensitization exercises to prepare them for future handling without sedation. Even a very fearful pet can be taught to tolerate procedures with time and effort. Encourage happy visits! Even before you bring your new puppy or kitten in for their wellness exam, we encourage you to bring them by in order for us just to say hi. Then when the actual appointment day comes our clinic will be a familiar and happy place. Same applies for after vaccination appointments. If your puppy was very nervous and shy during the visit, we may ask that you bring them by the following week just for a treat! In conclusion: If you are nervous or have reservations about scheduling a pet for a visit, give us a call and we can make a plan prior to the appointment and all work together as a team to initiate the best possible visit with all of the above guidelines.